It is exciting to see numerous new primary care delivery business models bursting onto the scene, including concierge medicine, retail clinics, mobile health vans, and direct primary care. While each model has its own merits, direct primary care has some really unique disruptive potential that we’d like to highlight. Patients or employers pay the doctor an annual, fixed fee with no (or very nominal) per visit charges. No insurance reimbursement is involved in this model. 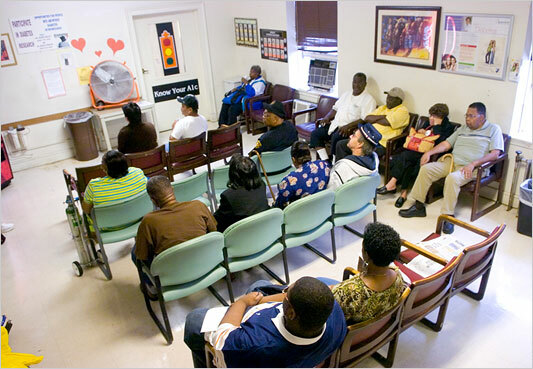 Patients go to the doctor for all of their primary care needs, as often as they need it. Doctors tend to like direct primary care because it relieves them of the administrative burden of dealing with insurance, accelerates the cash cycle of their business, and allows them to focus more purely on delivering great patient care. Some even claim the doctors’ profitability is better under this model. Patients tend to like primary care because they are relieved of the complexity of dealing with insurance and the uncertainly of what things will cost. They also often cite higher service and satisfaction levels in these models. Whether clinical outcomes are better in direct primary care is an open question. However, a new start-up, Amplify Health, is creating elegant technology that will allow large employers to easily understand and analyze whether using a direct primary care model in its employee benefit plan reduces costs and improves clinical outcomes. We applaud Amplify and other novel health tech start-ups that are finally giving large employers the tools they need to effectively disrupt traditional health insurance. When products or services that were previously expensive and complex to use become accessible, cheaper, and easier to use you can bet disruption is afoot. Disruption usually comes about via a simplifying technology embedded in a business model with a lower cost structure. The way direct primary care will be disruptive to traditional primary care hits both the technology adoption and lower cost structure hallmarks. Prices negotiated with insurance companies for each CPT code (usually +/- a percentage of the Medicare reimbursement rate). CPT codes are scaled based on the complexity and severity of the patient / disease treated. Because reimbursement is only available when care is delivered, doctors have the incentive to deliver as much care as possible, and will naturally (and perhaps subconsciously) prioritize those procedures and consultations that yield the highest reimbursement rates. In short, the sicker you are, or the more frequently you need to visit, the more money the doctor makes. Contrast this with a direct primary care model, where a single fixed fee is paid per patient, regardless of how sick the patient is or how many times they will visit the doctor. Insurance reimbursement codes (and the administrative expense of administering insurance billing and coding) are not part of the equation. Under this scenario, the doctor actually makes more money when you’re well than when you’re sick. This introduces the incentive to deliver treatment that will have the best long-term outcome, regardless of its near term cost or whether the treatment or therapy is reimbursable by insurance. Having contrasted the two models, now let’s explore the disruptive potential of direct primary care. The disruptive magic lies in the way direct primary care can prioritize adoption of technology in the clinic. A somewhat simplified view of the criteria the two business models use when evaluating new technology acquisition is listed below. - Does the technology enable better long-term clinical outcomes (long-term focus)? - Can the technology generate enough savings from the overall patient population to justify purchase of the equipment or implementation of the new process? - Does the technology enable better clinical outcomes (near or long term)? - Is the technology / procedure covered by reimbursement? - Can the office generate enough procedure volume to justify purchase of the equipment or implementation of the new process? It is important to note that technology here means anything that transforms inputs into a higher value output. This includes processes, devices, and computing technology. Because direct primary care models will be able to adopt technology (e.g., smart phone EKGs or longer appointment times) that traditional primary care can’t prioritize, it will begin to steal away market share from the incumbents. When this begins happening, traditional primary care will have no tools at its disposal to compete on price or service. Its business model is locked in a fee-for-service reimbursement world that will never be able to respond to the lower cost structure or different profit formula employed by direct primary care. This is not to say that direct primary care doesn’t have its own bridges to cross. Figuring out how direct primary care interfaces with the tertiary care system is an important and not insignificant task that hasn’t been nailed yet. However, I am optimistic that large employers in particular will facilitate adoption of direct primary care as a part of (rather than an alternative to) the larger health care delivery system. We applaud all of the business model innovators in primary care, disruptive or not, and look forward to a future where primary care does the jobs we need done in our lives AND provides a fair living to providers.